This marks the final season of the most popular music show in TV history. 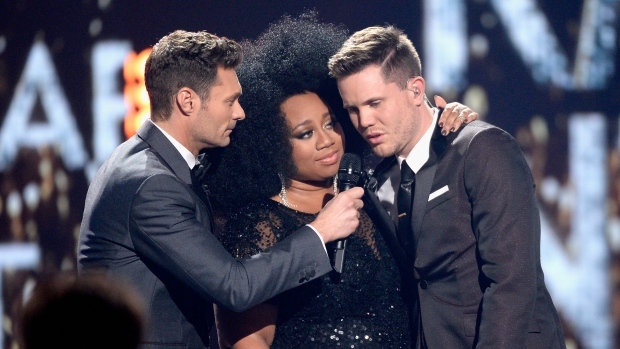 Trent Harmon is the 15th and final American Idol winner. Harmon tumbled to the stage in surprise as host Ryan Seacrest announced his name as winner of the show, which ended its remarkable run Thursday. "I know that I have a God-given ability, but I didn't want to take it for granted. I wanted to work so, so hard, and she pushed me to do it," a tearful Harmon said of runner-up La'Porsha Renae, who stood poised and smiling by his side. American Idol debuted in June 2002, during the summer broadcast doldrums, an indication that Fox didn't have high hopes for the imported singing contest based on producer Simon Fuller's hit British series, Pop Idol. The show averaged more than 30 million weekly viewers at its 2006 peak and ranked No. 1 in the U.S. for nine consecutive years, averaged about 11 million last season (still enough by today's standards to land it in the top 20, but with fewer advertiser-favoured younger viewers).